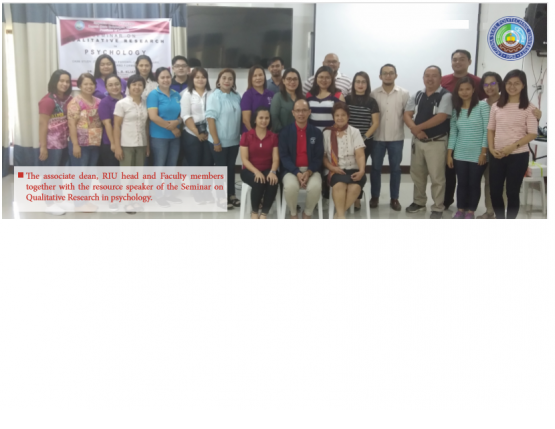 LSPU-CMU international programs are strengthened by the regular and active annual periodical exchange of faculty and students. 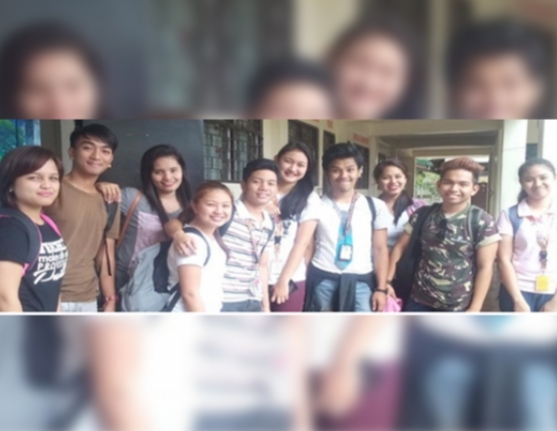 Every year, CMU is sending qualified scholars to participate in the one-month Intensive Language Proficiency Course conducted at LSPU-Santa Cruz Main Campus. 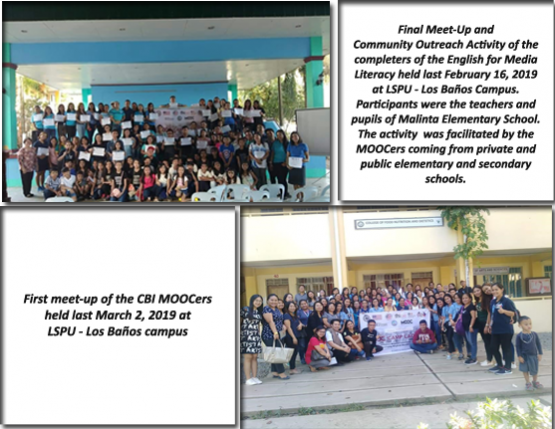 Likewise, at least two faculties per year join the Korean students and take the opportunity to teach Korean Language (Hanggul) to Filipino CHMT students, in any of the four campuses. Every year also, two competent faculty members are invited by Changwon Moonsung University to teach practical English to Korean students for a duration of three to four months. 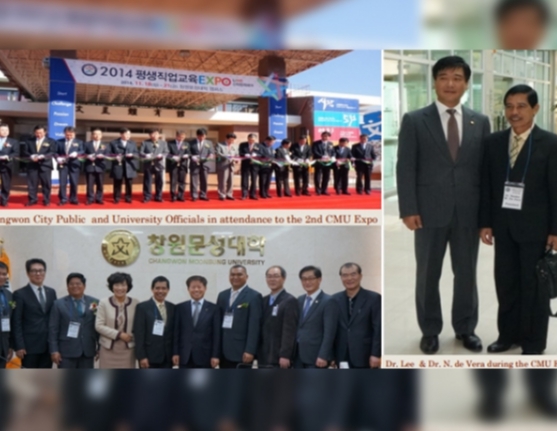 Pursuant to the invitation of Changwon Moonsung University, on Nov 17, LSPU Officials headed by its President, Dr. Nestor M. de Vera, went to Korea to attend the 2nd CMU Vocational Education Expo (November 18, 2014), which is considered one of the most awaited and well-participated events in Changwon City. This expo showcased the skills and talents among Korean students from various colleges and universities purposely to recruit prospective incoming college students. The event was graced by the Mayor and Governor of Changwon City together with other dignitaries of the famous city. 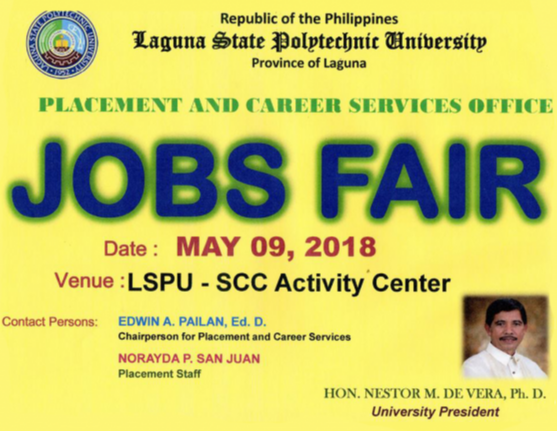 Along with the President was Mr. Nestor T. Mendoza, vice president for Administration, Mr. Virgilio F. Bartolome, Director for Student Affairs and Services, and Engr. 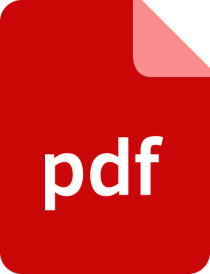 Beltran T. Pedrigal, Director of Planning and Development. Their attendance in the expo is a gesture of friendship between two universities. Dr. Nestor M. de Vera also delivered a speech before the faculty and students of Changwon Moonsung University to further inform them about the status of the academic partnerships between two institutions. 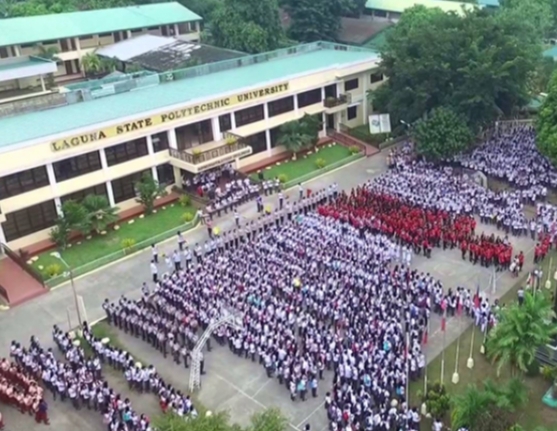 The physical presence of the LSPU Officials in CMU has served as a scholarly symbol of good rapport and alliance of two universities who both contend for ASEAN 2015.